Editor(s): Debra Lewin and Ellen Hirsch de Haan, Esq. Self-managing volunteer boards of small community associations face the challenge of having to govern and manage their communities. 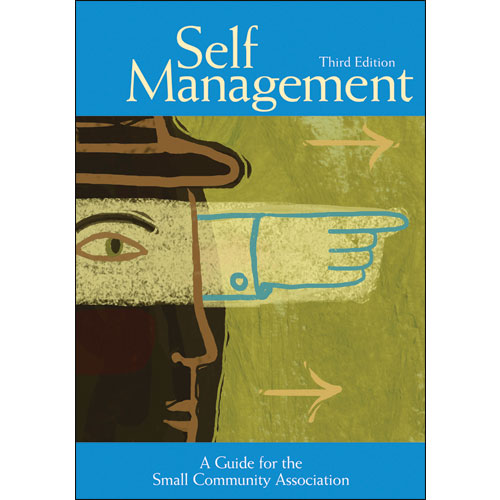 Self-Management skillfully combines practical guidance from these two very different directions-something no other book on community association management has done. This guide specifically addresses this unique role of the self-managing board, and provides an overview of financial management, insurance, meetings, communications, taking over from the developer, and federal and state regulations. Each chapter contains an annotated list of related resources and the appendix contains model documents, sample forms, and helpful checklists. Self-Management also provides information on governing documents, enforcing rules, working with professionals, maintenance, public policy, and important legal considerations like fair housing and fair debt collection. Dozens of community association professionals and industry experts contributed their expertise to this useful reference guide. Even some professional managers find this book helpful.